I love foxes and I cannot get enough of them! My first solo post for A Blog Named Hero is now on the blog. Here is the sneak peek of my card. I love foxes especially this one. You can interpret this as mother and baby or as a couple. Either way, this one is cute. 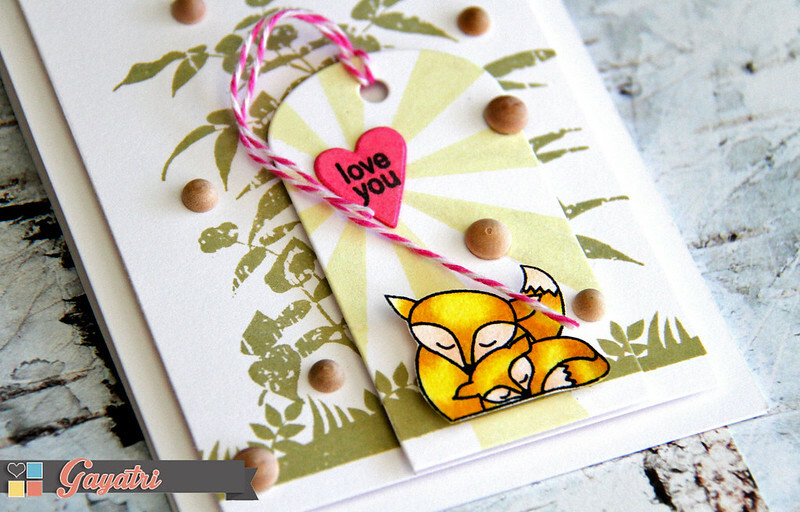 I have combined couple of older Hero Arts stamp set with this new The Fox Says stamp & cut set. For more details check out my post at A Blog Named Hero! This is so very sweet. Love those foxes, too. Really like that you've combined them with older stamps, which I also own. Obviously, this card will be CASEd. Oh my goodness, how cute are they! !